Straparola, Gianfrancesco. Les facétieuses nuits de Straparole. Bibliothèque elzévirenne. 2 vols. Paris: Pierre Jannet, 1857. Provenance: Morris (purchased for 6d.). — Richard Bennett. — Sotheby 1898, lot 42 (part; sold to Breslauer for £1 9s.). — Unlocated. Lancereau, Édouard. Hitopadésa. Bibliothèque elzevirienne. Paris: Pierre Jannet, 1855. Provenance: Morris. — Richard Bennett. — Sotheby 1898, lot 42 (part; sold to Breslauer for £1 9s.). — Paul von Baldinger. — Alphons Nobel. — Offered for sale by Bernard Quaritch, April 2014 (£400). — Offered for sale by Blackwell, April 2015. — William Morris Society (London). Reference: MS catalogue (2), no. 61. Musurus, Marcus, ed. Etymologicum Magnum Graecum. Venice: Zacharias Callierges for Nicolaus Blastus and Anna Notaras, 8 July 1499. The text, including the title, is entirely in Greek. Provenance: Dr. Askew. — Askew sale, Baker, c. 22 February 1775 (sold to Michael Wodhull for £2 12s. 6d.). — Michael Wodhull. — Morris. — Richard Bennett. — Sotheby 1898, lot 518 (sold to Quaritch for £4). — John Boyd Thacher. — Library of Congress (Thacher Collection 483). References: ISTC (ie00112000). — Thacher 1, no. 483. Epistole et Evangelii, et letioni vulgari in lingua thoscana, nuouamente ristampate. Florence: Giunti, 1551. Provenance: Morris. — Richard Bennett. — Sotheby 1898, lot 515 (sold to Quaritch for £89). — Charles Fairfax Murray. — William M. Ivins, Jr. — Newberry Library (VAULT Wing folio ZP 535 .G437). Reference: MS catalogue (2), no. 493 (with two X’s beside the title). Spruner von Merz, Karl. Spruner-Menke atlas antiquus. Ed. Theodorus Menke. Germany: J. Perthes, 1865. This collection of maps went through several editions; we are not sure which version Morris owned. Provenance: Morris. — Richard Bennett. — Sotheby 1898, lot 1136 (part; sold to Henry Wellcome for 11s.). — Henry Wellcome. — Wellcome Library [deaccessioned]. — Unlocated. One lot in the Sotheby 1898 catalogue (see below) included a substantial collection of miscellaneous publications by the Chaucer Society (founded in 1868): First Series, 14 numbers (between 16 and 43); Second Series (18 numbers); A six-print text of Chaucer’s Canterbury tales, ed. Frederick J. Furnivall; and Chaucer’s various writings (10 vols.). The books probably came to Morris as gifts from his friend Furnivall, the founder of the Society. Provenance: Morris. — Richard Bennett. — Sotheby 1898, lot 210 (sold to Sotheran for £1 18s.). — Unlocated. Durand, Guillaume [Guillelmus Duranti]. Rationale divinorum officiorum. Ulm: Johann Zainer, 18 March 1475. Provenance: J. W. Bone. — Morris. — Richard Bennett. — Sotheby 1898, lot 401 (sold to Henry Wellcome for £1 3s.). — Henry Wellcome. — Wellcome Library (Closed stores EPB Incunabula 2.f.2 (SR)). Provenance: Alexander Vulpii. — Leon Hardi Haickl. — Leo S. Olschki (dealer). — Morris. — Richard Bennett. — Sotheby 1898, lot 400 (sold to Henry Wellcome for £1 6s.). — Henry Wellcome. — Wellcome Library (Closed stores EPB Incunabula 2.f.1 (SR)). References: ISTC (id00408000). — MS catalogue (2), no. 948, p. 87 (with an X beside the title). — Poynter, no. 214. Rawlinson, George. The five great monarchies of the ancient eastern world, or the history, geography, and antiquities of Chaldaea, Assyria, Babylon, Media, and Persia. 3rd ed. 3 vols. London: John Murray, 1873. Rawlinson. The seventh great Oriental monarchy, or the geography, history, and antiquities of the Sassanian or new Persian empire. 2 vols. in 1. London: Longmans, 1876. Digital version: Internet Archive (Morris’s copy). Provenance: Morris. — Richard Bennett. — Sotheby 1898, lot 822 (sold to Henry Wellcome for £6 10s.). — Henry Wellcome. — Wellcome Library (Closed stores Hist. 2 ZBB.28). Reference: MS catalogue (2), no. 136 (where the title is rendered as “Rawlinson’s Ancient Monarchies”). Jean, d’Arras. Melusine. Ed. Charles Brunet. Paris: Pierre Jannet, 1854. Based on Paris, 1478 edition. Reference: MS catalogue (2), no. 62. Brunet, Gustave, ed. Le violier des histoires romaines: ancienne traduction françoise des Gesta Romanorum. Paris: Pierre Jannet, 1858. Reference: MS catalogue (2), no. 63. Ptolemy [Claudius Ptolomaeus]. Cosmographia. Trans. Jacobus Angelus. Ulm: Lienhart Holle, 16 July 1482. References: Ellis valuation, fol. 10b, no. 120 (£15). — ISTC (ip01084000). — Poynter, no. 466. Ptolemy [Claudius Ptolomaeus]. Cosmographia. Trans. Jacobus Angelus. Ulm: Johann Reger, for Justus de Albano, 21 July 1486. References: Ellis valuation, fol. 10b, no. 124 (£22 10s.). — ISTC (ip01085000). — Poynter, no. 468. Provenance: Sotheby 1898, lot 976 (sold to Henry Wellcome for £21). — Henry Wellcome. 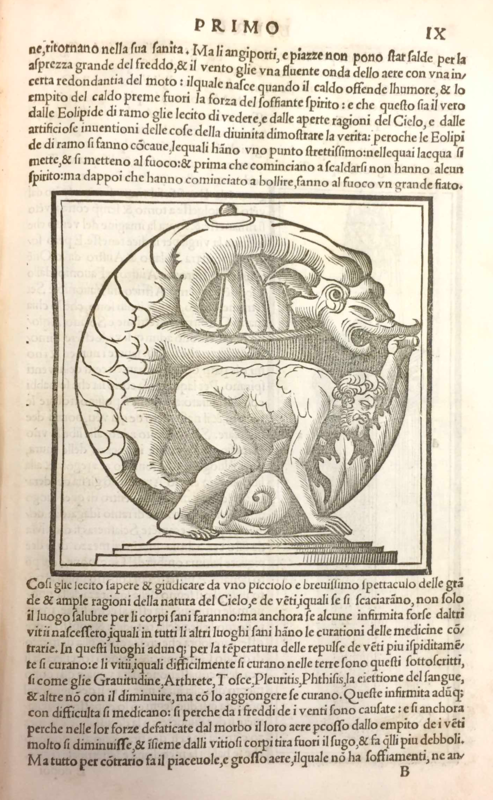 — Wellcome Library (Closed stores EPB Incunabula 4.f.5 (SR) [1482 edition and 1486 edition]). Monuments de la xylographie. 4 vols. Paris: Adam Pilinski, 1882–84. Illustrated. Facsimile reprints of four titles: Apocalypse; Bible des pauvres; Cantica canticorum; Oraison dominicale. Provenance: Morris. — Richard Bennett. — Sotheby 1898, lot 686 (sold to Henry Wellcome for £10 10s.). — Henry Wellcome. — Wellcome Library (each volume catalogued separately, but the latter two are described as missing): Closed stores Hist. O/S 2 ZHB; Closed stores Hist. O/S 2 ZHB /PIL; Closed stores Hist. 2 ZHB; Closed stores Hist. 2 ZHB). Ingleby, C. M., ed. Shakspere allusion-books, part 1. New Shakspere Society publications, series 4. London: Trübner, 1874. The book has been rebound, and the Wellcome cataloguers speculate that Morris’s book label was removed when that happened. Provenance: Morris. — Richard Bennett. — Sotheby 1898, lot 1010 (part; sold to Henry Wellcome for 10s.). — Henry Wellcome. — Wellcome Library (Closed stores Hist. 2 CUT Pt 1). Transactions of the New Shakspere Society. London: New Shakspere Society, 1874–76. Duff, E. Gordon. Early printed books. London: Kegan Paul, Trench, Trübner & Co., 1893. Unsigned note—attributed to Emery Walker by Philip Hofer—on front pastedown: “This belonged to a little collection of printed books which Morris kept at the Press (at 21 Upper Mall, Hammersmith) for the use of his printers.” With the Morris book label, so it may have passed through the 1898 Sotheby sale (though it is not listed in that catalogue). Provenance: Morris. — Richard Bennett (?). — Sotheby 1898 (?). — Houghton Library, Harvard University (Typ 805.93.3404). Digital version: Wellcome Library (Morris’s other copy at the Wellcome Library). The following tracts by Juan de Torquemada [Johannes de Turrecremata] are bound together. Since all three were issued at about the same time and the title-pages are very similar in appearance, it is possible they were intended by the publisher to form a single volume. Tractatus contra principales errores perfidi Machometi et Turchorum sive Sarracenorum. Paris: Guillaume Eustace, [c. 1510]. Tractatus contra Judeos a quodam judeo nomine Samuel editus sermone arabico. Paris: Guillaume Eustace, [c. 1510]. Dyalogus Christiani contra Sarracenos. Paris: Guillaume Eustace, [c. 1510]. Provenance: Crofts. — Crofts sale, May 1783. — Guy Phillips. — Morris. — Richard Bennett. — Sotheby 1898, lot 1033 (sold to Money for £4 8s.). — Frank McClean. — Fitzwilliam Museum (Reference Collection) [McClean bequest, 1904]. Ludolf, von Sachsen [Ludolphus de Saxonia]. Vita Christi [Dutch] Tboeck vanden leven Jhesu Christi. Antwerp: Gerard Leeu, 3 November 1487. Provenance: Morris. — Richard Bennett. — Sotheby 1898, lot 772 (sold to Heppenstal for £12 12s.). — Unlocated. Ponte, Carmen [Petrus Pontanus]. Poëma de laudibus diva Genoves. Paris: G. Le Rouge for Denis Roce, 1512. Provenance: Morris. — Richard Bennett. — Sotheby 1898, lot 864 (sold to Ellis for £3). — Ellis. — Charles Fairfax Murray. — Murray sale, Christie, 18 March 1918, lot 622. — Unlocated. Reference: Ellis valuation, fol. 19b, no. 252 (£2). Jerome, Saint [Hieronymus]. Epistolae et tractus. 2 vols. Venice: Rubeus?, n.d.
Provenance: Duke of Sunderland. — Morris. — Richard Bennett. — Sotheby 1898, lot 591 sold to Leighton for £11 11s.). — Unlocated. Illustrated. With a bibliographical note by Sydney Cockerell. An inscription on the front endpaper records that the two works were purchased by Wilhelm Czwerd in 1474 and presented to the Carthusian monastery at Fogelsanck (Cantave) in 1496. References: Ellis valuation, fol. 27b (£1). — ISTC (ir00001000). — Poynter, no. 473. References: Ellis valuation, fol. 27b (£2). — ISTC (ib00383000). — Poynter, no. 126. Provenance: Wilhelm Czwerd. — Carthusian monastery at Fogelsanck. — Morris. — Richard Bennett. — Sotheby 1898, lot 979 (sold to Henry Wellcome for £4 4s.). — Henry Wellcome. — Wellcome Library (Closed stores EPB Incunabula 4.f.7 (SR)). 20 photographs of medallion stone carvings from church walls. Provenance: Morris. — Richard Bennett. — Sotheby 1898, lot 946 (sold to Henry Wellcome for £3 4s.). — Henry Wellcome. — Wellcome Library [deaccessioned]. — Unlocated. Regiomontanus, Joannes. Epitoma in Almagestum Ptolemaei. Venice: Johannes Hamman for Kaspar Grossch and Stephan Roemer, 31 August 1496. Puerbach, Georg von. Tabulae eclypsium. Vienna: J. Winterburger, 15 April 1514. Stoeffler, Johannes. Tabulae astronomicae. Tübingen: T. Anshelmus, 1514. Provenance: Morris. — Richard Bennett. — Sotheby 1898, lot 982 (sold to Henry Wellcome for £6 10s.) — Henry Wellcome. — Wellcome Library (5.b.2 (SR)). Terence [Terentius]. Le grant therẽce en francoys tãt en rime que en prose nouuellement imprime a Paris. [Paris:] G. Bossozel, 1539. Provenance: Duc de la Valliere. — Morris. — Sotheby 1898, lot 1153 (sold to Ellis for £13). — Unlocated. Angelo Carletti [Angelus de Clavasio]. Summa angelica de casibus conscientiae. Nuremberg: Anton Koberger, 28 August 1488. References: ISTC (ia00717000). — Poynter, no. 53. References: ISTC (ia00598000). — Poynter, no. 48. Provenance: Morris. — Bennett. — Sotheby 1898, no. 366 (sold to Henry Wellcome for £1 10s. — Henry Wellcome. — Wellcome Library (Closed stores EPB Incunabula 1.c.18 (SR)).